Lawyer Hiroyuki Kawai stands out in Japan, a nation dominated by somber dark suits: When not in a courtroom, he often wears colorful shirts and crystal-covered animal pins. He is a noh dancer, a tenor and, of late, a filmmaker. His ride is a Harley. Some of it is just for fun, but much of the flamboyance is meant to draw attention to his cause: shutting down all nuclear plants in Japan. 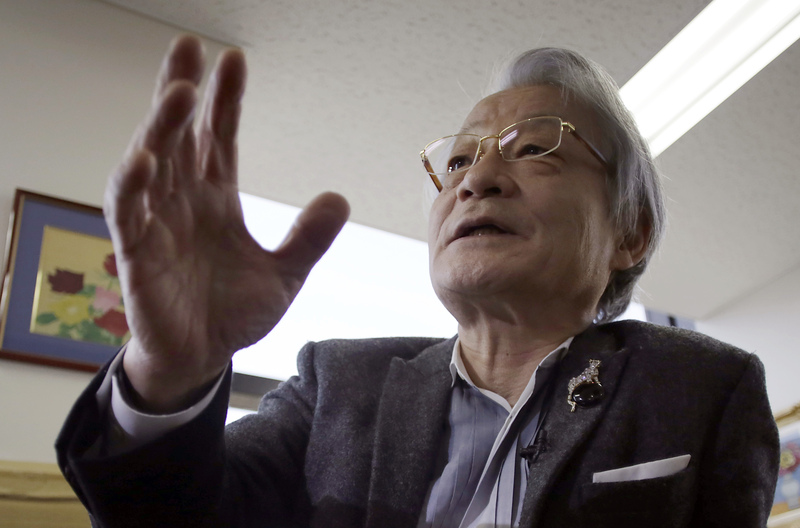 His more than two-decade-long legal battle is gaining momentum after the multiple meltdowns in Fukushima five years ago led to all reactors being idled for safety checks. In March, Kawai helped set up an organization to support Fukushima residents whose children have developed thyroid cancer since the 2011 disaster struck — 166 among 380,000 people 18 years and under who were tested, including suspected cases. That is up to 50 times higher than on average, according to Toshihide Tsuda, a professor at Okayama University. The central government denies any link, claiming the increase reflects more rigorous screening. Thyroid cancer, rare among children, at 2 or 3 in 1 million, soared after the 1986 Chernobyl nuclear disaster. Also last month, Kawai has won a court injunction to stop two nuclear reactors in western Japan that had recently restarted. The district court cited concerns about safety, emergency planning and environmental contamination. One of the reactors was shut down shortly after its restart because of glitches. Both had met stricter standards upgraded after the 2011 meltdowns. Kawai’s team is pursuing damage compensation for those evacuated from Fukushima and criminal charges against former executives of Tokyo Electric Power Co., which operates the Fukushima plant. His ultimate goal is to banish nuclear power. 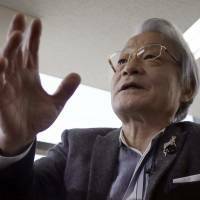 “If another nuclear accident ever happens in Japan, everything will be destroyed — turning upside down our politics, our economy, our education, our culture, our love, our law,” Kawai said in an interview at his Tokyo office, sitting at a desk overflowing with files and papers. Born in 1944 in Manchuria, northeastern China, Kawaii has built a reputation as a champion of humanitarian causes, helping out Japanese abandoned as children in China after World War II and Filipinos of Japanese descent in the Philippines. His compassion is driven partly by his own experience: A baby brother died of starvation during his family’s perilous journey back to Japan. After graduating from the prestigious University of Tokyo, Kawai represented major corporations as a lawyer during the “bubble era” of the 1980s. In the mid-1990s he began taking on lawsuits against nuclear power. Until 2011, he was fighting a losing battle. To win over regular people after the Fukushima meltdowns, Kawai started making movies, which are sometimes entered as evidence for his court cases. In “Nuclear Japan,” he points out how precariously quake- and tsunami-prone Japan is, and how densely populated. He interviews scientists, former Fukushima residents, a firefighter who could not go back to save lives because of radiation. “Imagine remembering this film in an evacuation center after the next nuclear disaster,” Kawai narrates in the movie. Since Japan imports almost all its energy, many in government and business view nuclear power as the cheapest option, and the best way to curb pollution and counter global warming. “What I’m really worried about is the idea of similar lawsuits being filed one after another. That would lead to uncertainty about a stable electricity supply,” he told reporters recently. Even those who insist nuclear power is safe — including top government regulator Shunichi Tanaka and Gerry Thomas, a professor at the Imperial College of London who advises Japan — say the choice of whether to keep or abandon nuclear energy should be left to the Japanese people. Kawai believes policy shifts, like the turn against nuclear in Germany, begin in the courtroom. “For 50 years, Japan had a campaign that we need nuclear power, and how it is reliable and safe, and 99 percent of Japanese believed this,” he said. “But we thought we could finally win, and about 300 lawyers came together to start a new fight against nuclear power,” he said with a zeal making him appear younger than his 71 years. Financially independent thanks to his corporate law days, Kawai invested ¥35 million in his first movie, which turned a profit from screenings and DVD sales. He is now working on his third film. “I think he is fantastic,” said Yurika Ayukawa, a professor of policy at Chiba University of Commerce. She attended at a recent screening where Kawai spoke and surprised the crowd by breaking into a song on Iitate, one of rural Fukushima’s most radioactive areas. Radiation is a sensitive issue in Japan, the only country to suffer atomic bomb attacks, and the Fukushima thyroid cancer patients and their families mostly have kept silent, fearing a social backlash. They face pressure from the hospital treating their children not to speak to the media or to question the official view that the illnesses are unrelated to radiation. Two of the patients’ families appeared recently with Kawai before reporters, although in a video-call with their faces not shown. They said they felt doubtful, afraid and isolated. Kawai believes they are entitled to compensation, though they have not yet filed a lawsuit. George Fujita, an attorney who specializes in environmental issues, says Kawai is Japan’s top lawyer on nuclear lawsuits. “It’s unusual for judges to watch a whole movie entered as evidence. It’s because the people are putting pressure on the courts,” he said. Kawai admits that at times he has been tempted to give up. “I should never walk away. I must fight it out,” he said. He swears it sums up his life.